Office being converted to formal 4th bedroom currently. 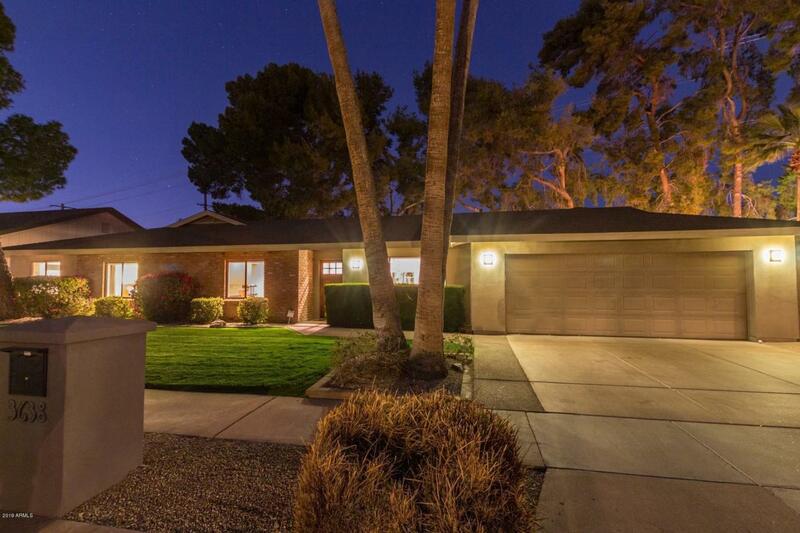 A serene gem in the heart of Arcadia's Camelback corridor. Soaring views of Camelback Mountain. 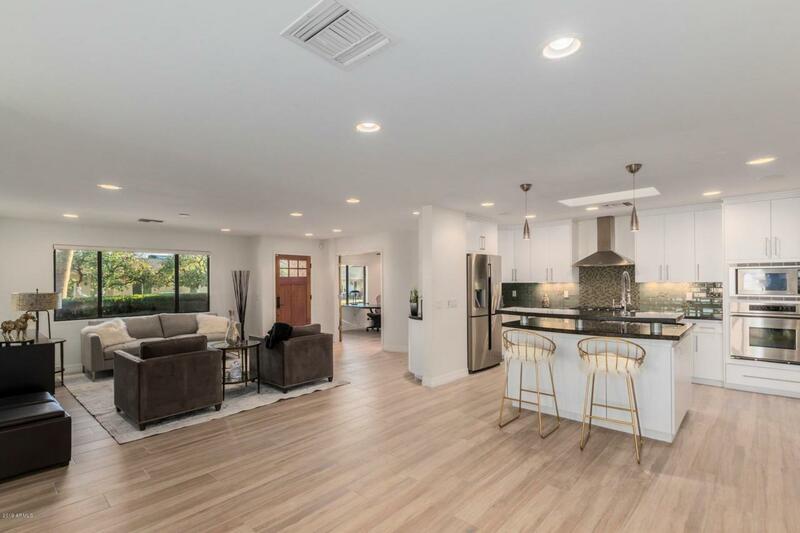 On an expansive double lot this Sanctuary resort style home boasts custom solid core flat face cabinets, wood tile flooring, brand new master and guest bathrooms and his and hers walk in closets in the master bedroom. The master suite has a stand alone soaking tub and fireplace. The over sized two car garage is complete with storage and room for beach bikes. Very urban lifestyle with shops and restaurants just a short jog away yet tucked into a quiet cul de sac. 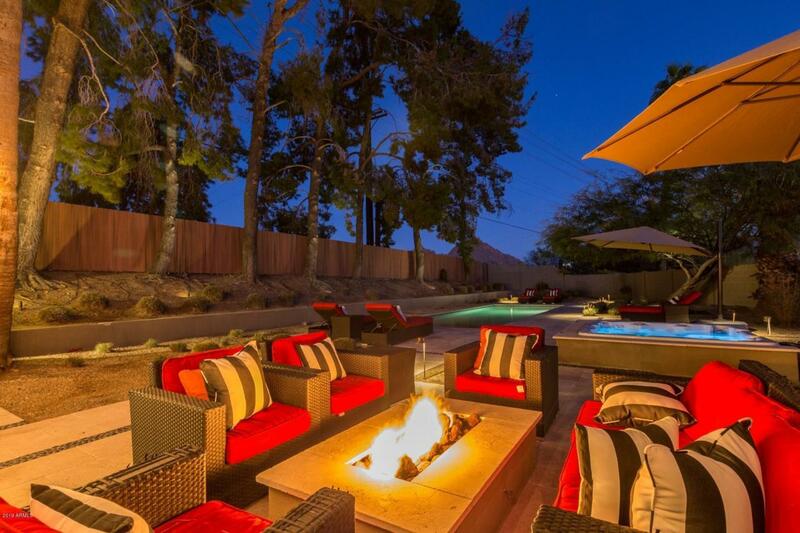 An entertainers dream with a new resort style pool, hot tub, built in BBQ area, surround sound speakers and soaring evergreen trees. Extremely private, this home has it all!